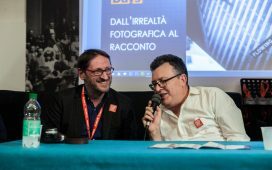 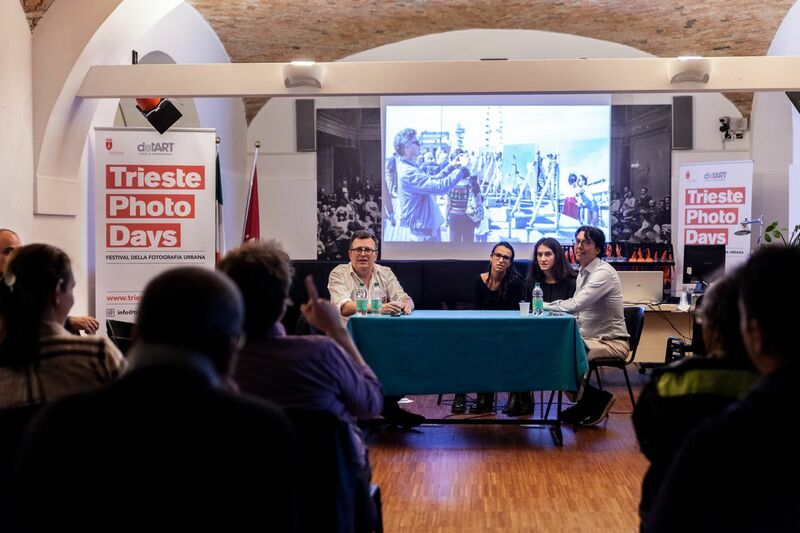 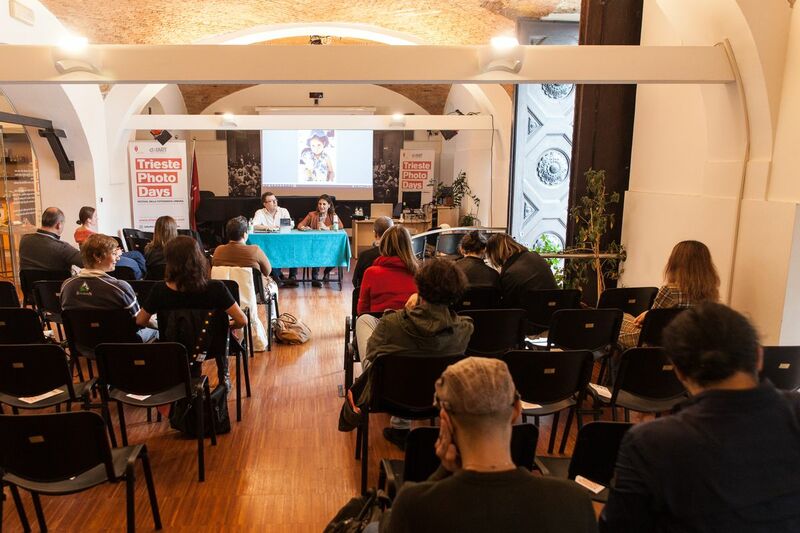 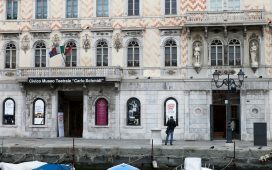 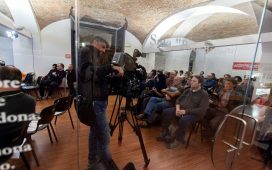 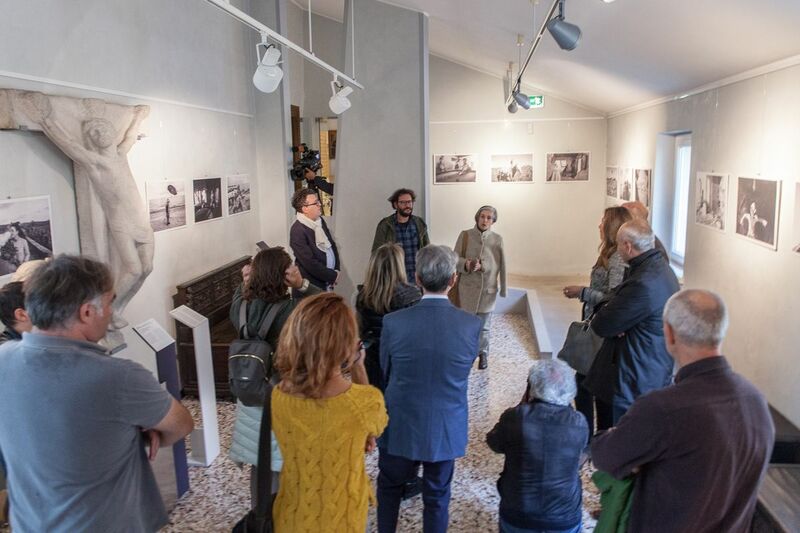 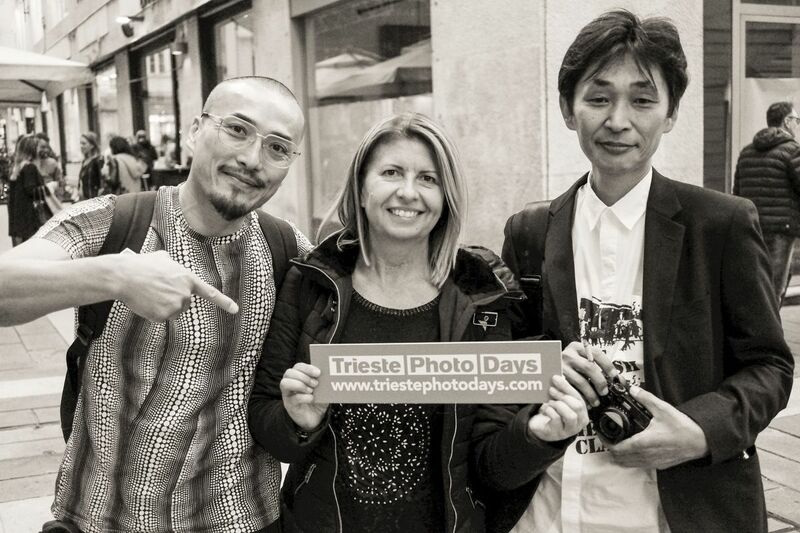 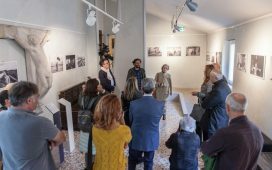 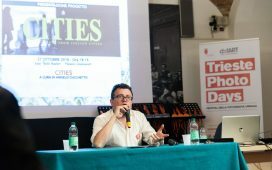 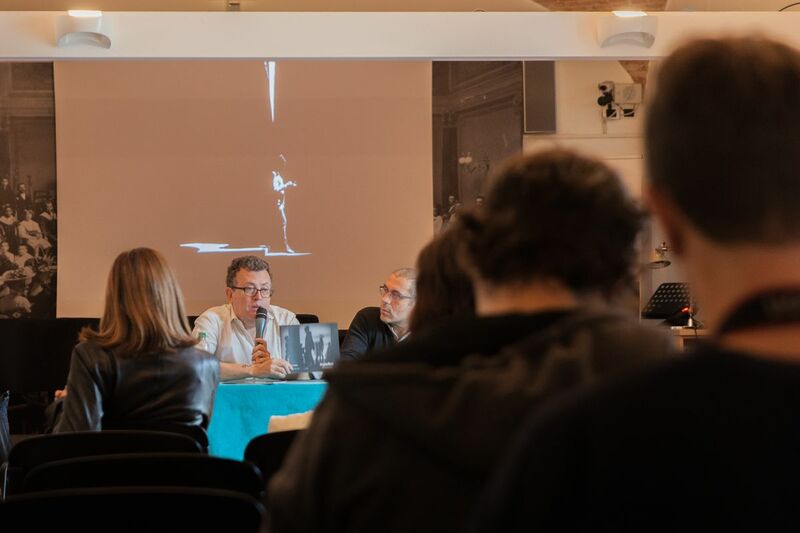 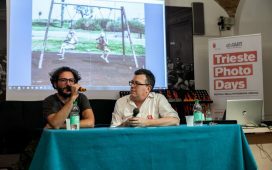 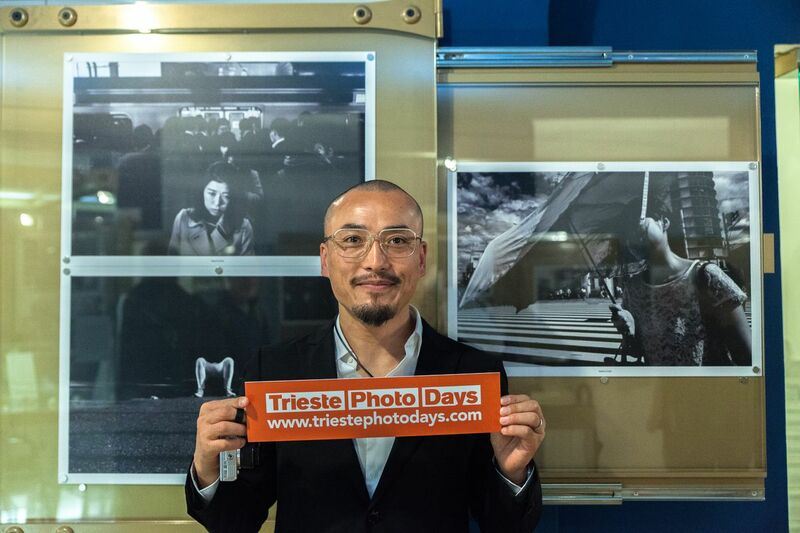 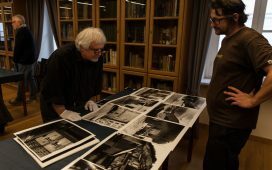 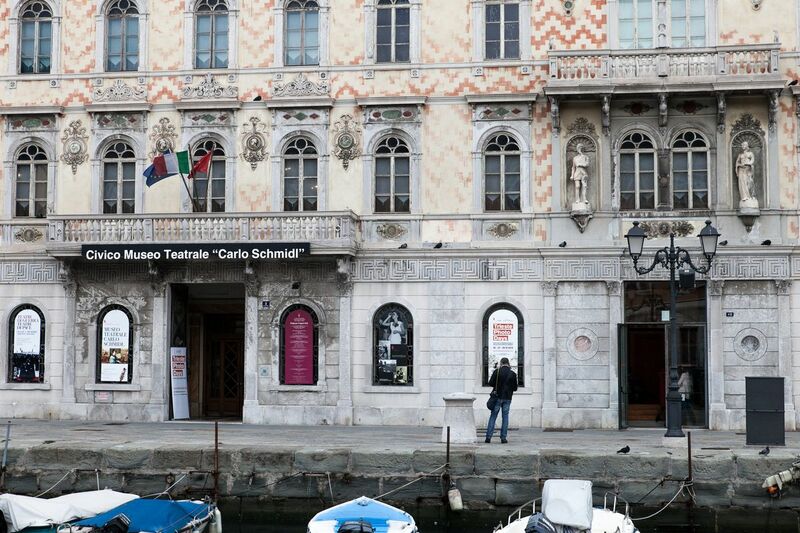 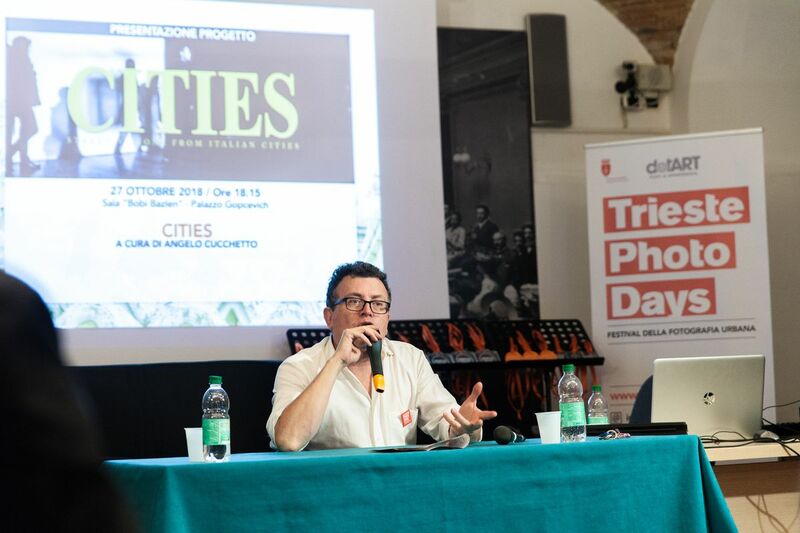 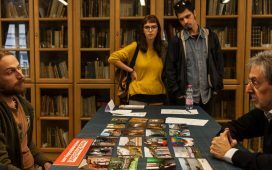 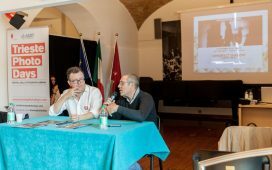 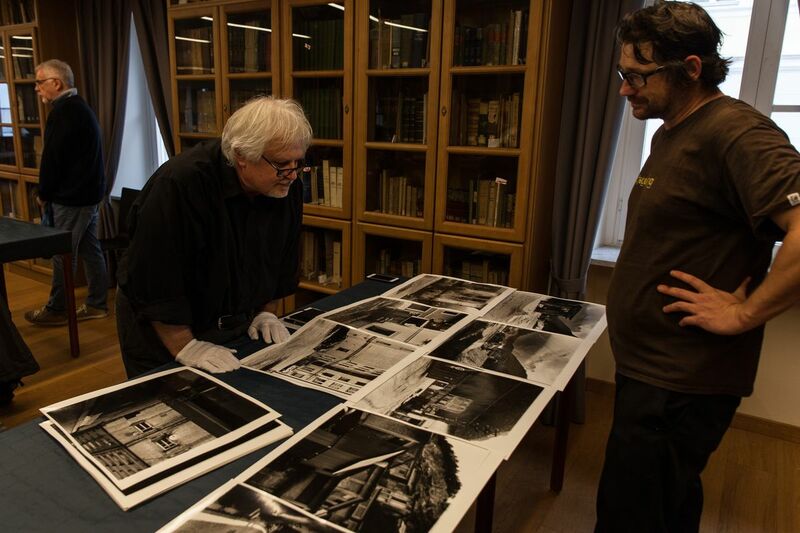 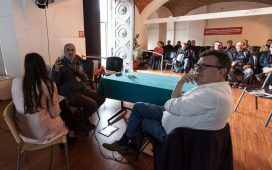 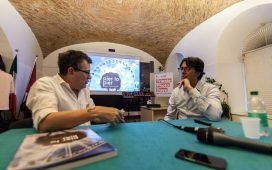 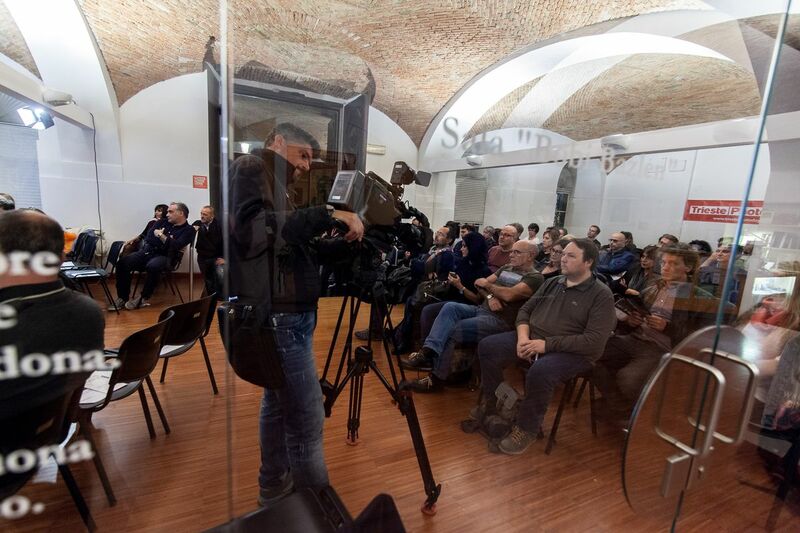 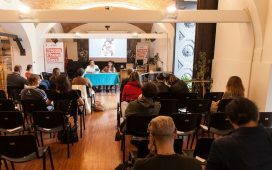 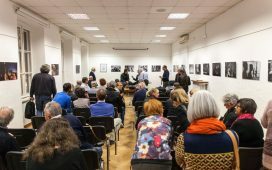 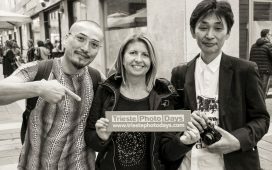 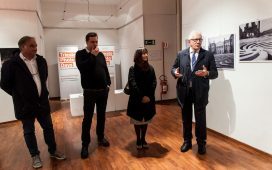 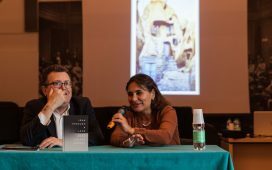 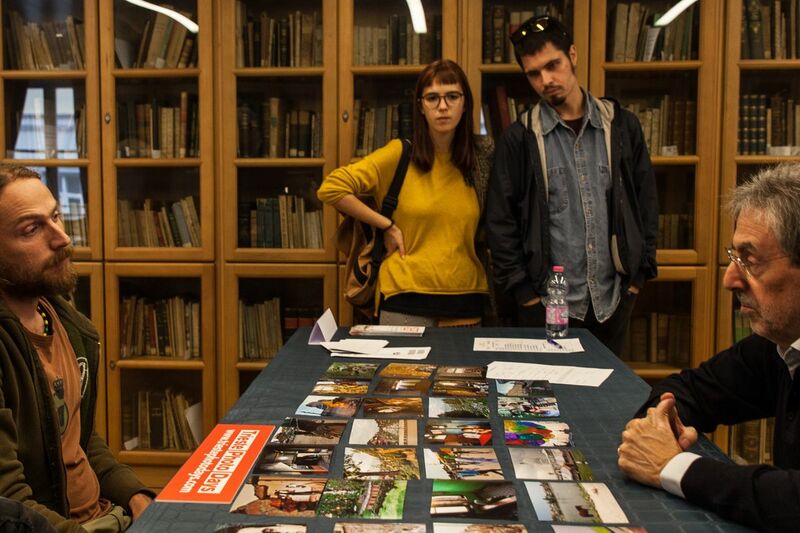 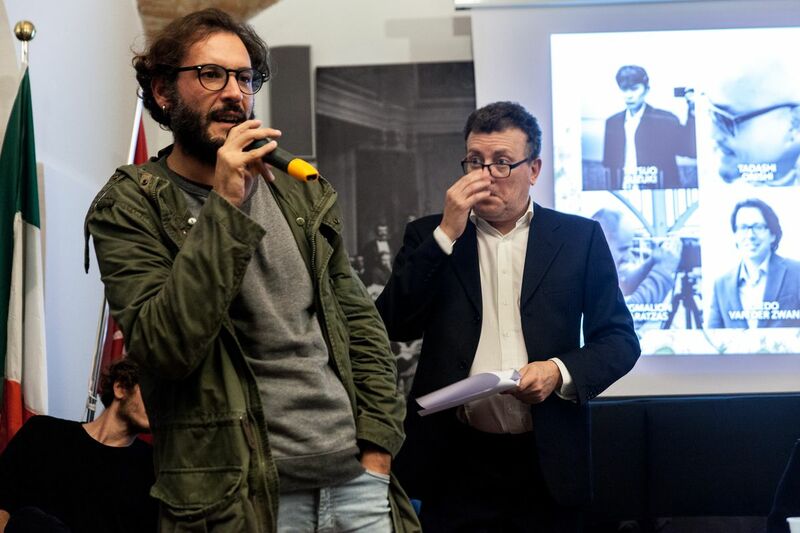 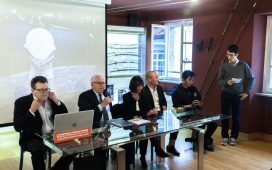 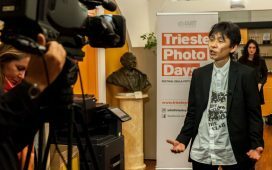 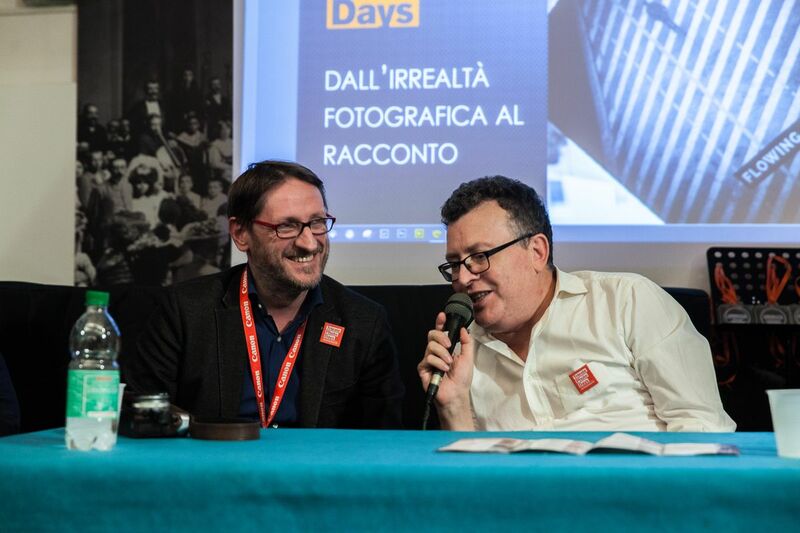 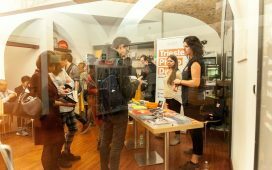 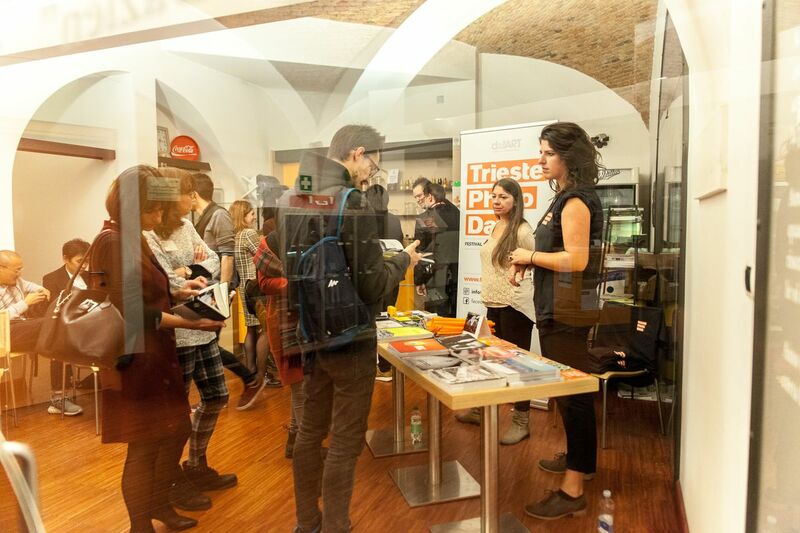 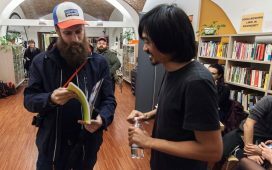 Trieste Photo Days 2018: the record edition! 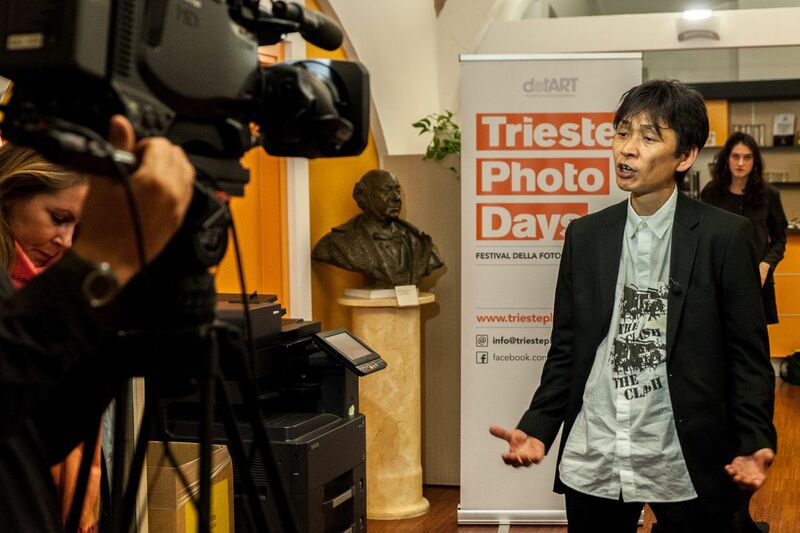 Trieste Photo Days fifth edition was held from October 18 to November 25, 2018 in a circuit of over 30 venues and was a success on every front, thanks above all to the fruitful collaboration between dotART and its institutional partners: the Municipality of Trieste, the Friuli Venezia Giulia Region and the Casali Foundation. 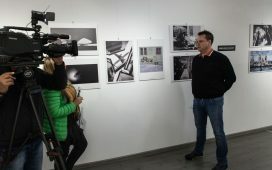 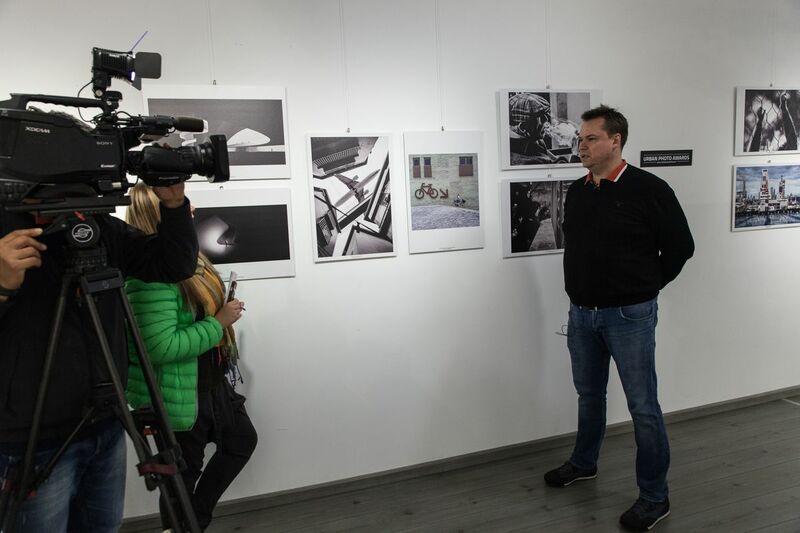 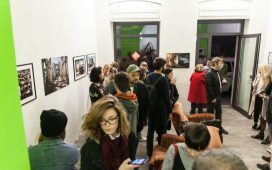 6 days full of events on the opening weekend, 27 photographic exhibitions for over 700 photos on display and 246 photographers exposed from all over the world. 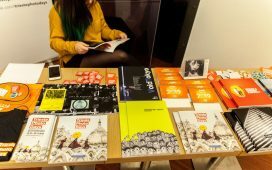 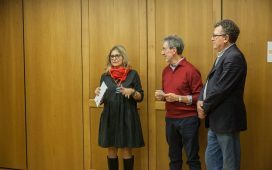 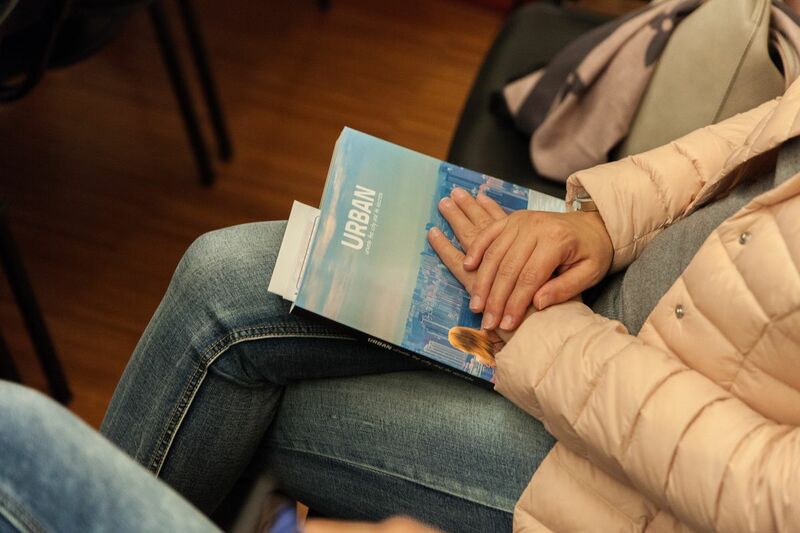 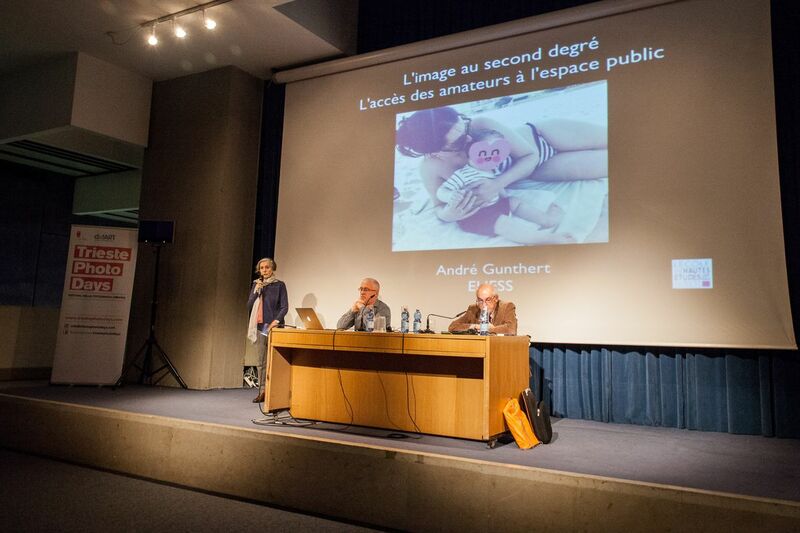 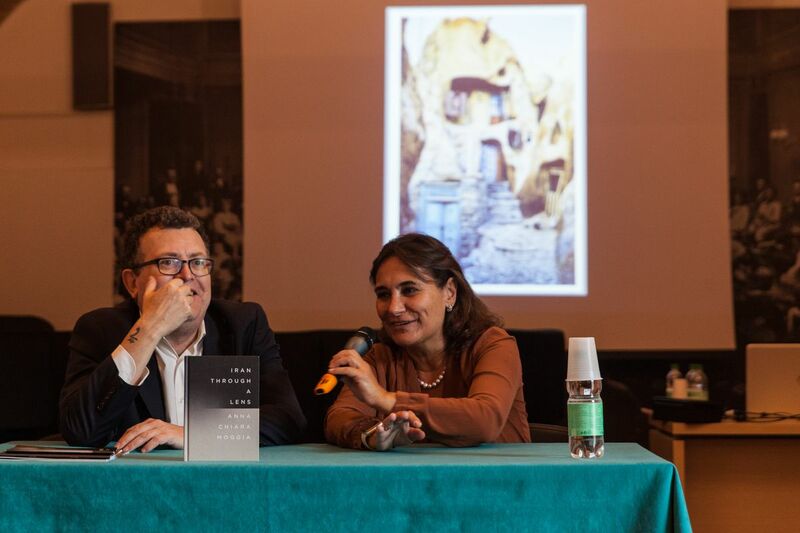 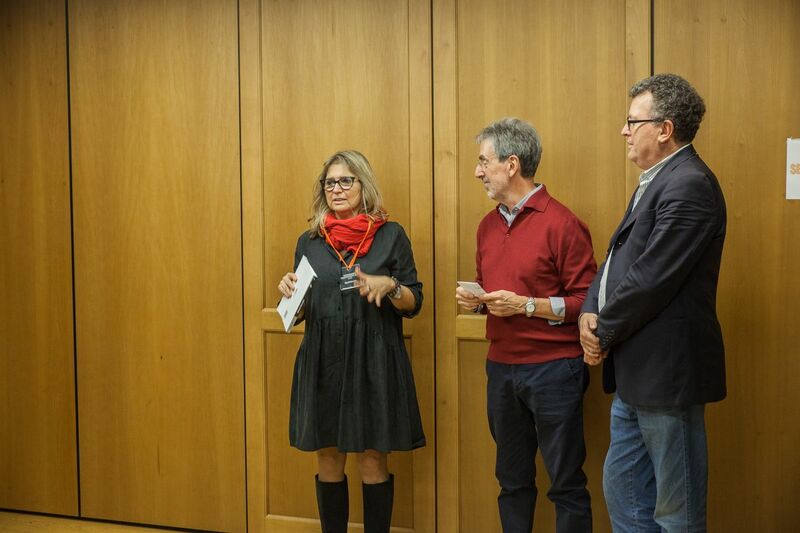 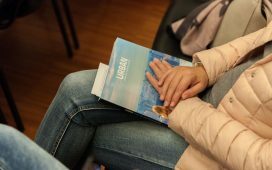 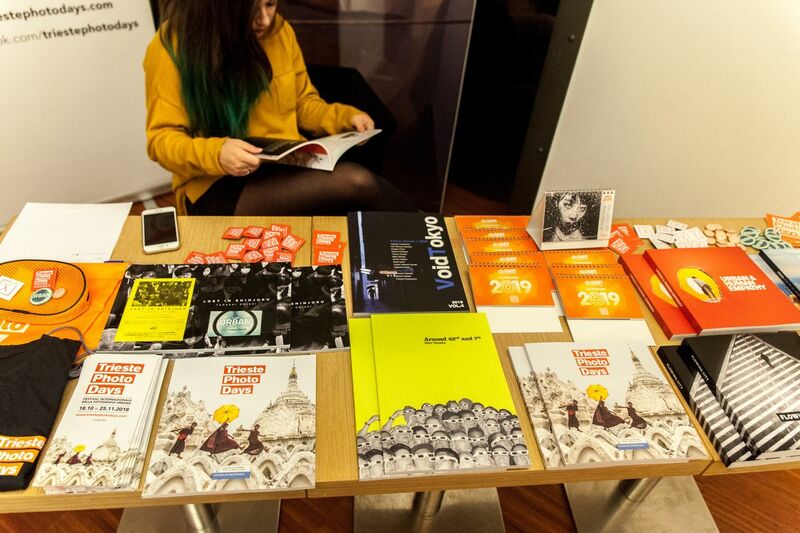 For the occasion, dotART produced and presented 5 new photo books, including the two winning books of the TPD Book Award 2018. 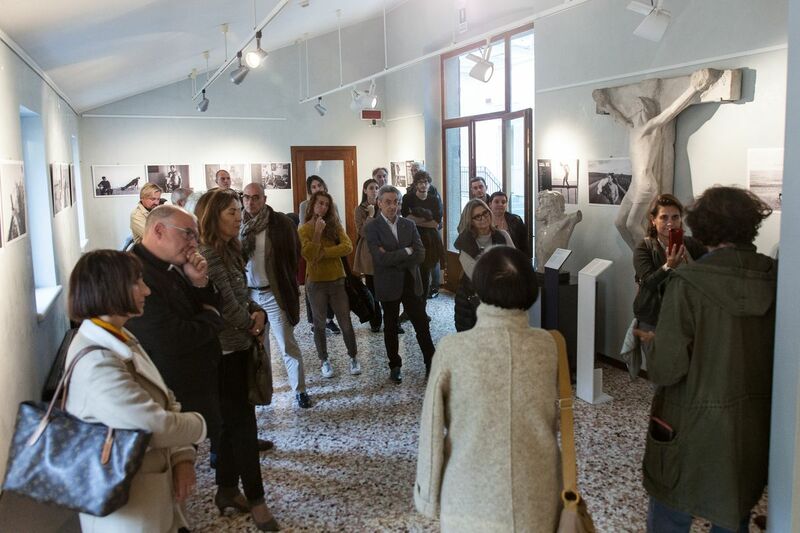 More than 5,500 visitors are estimated throughout the festival period (+ 35% compared to 2017). 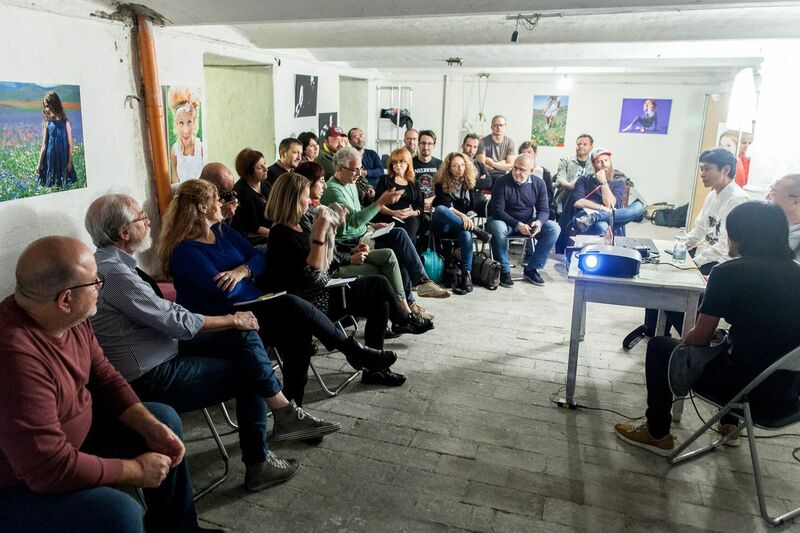 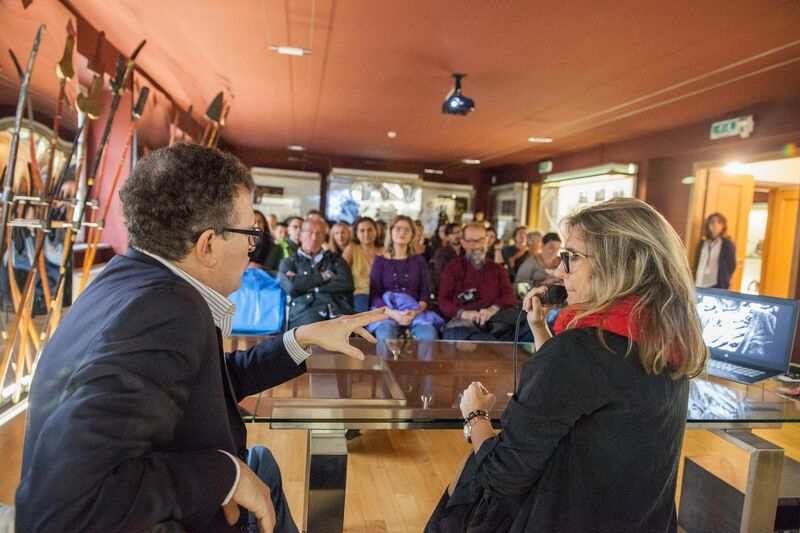 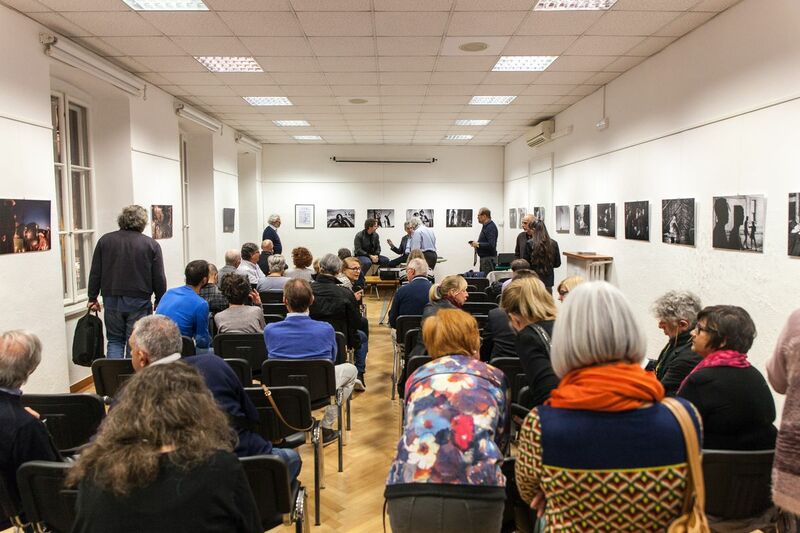 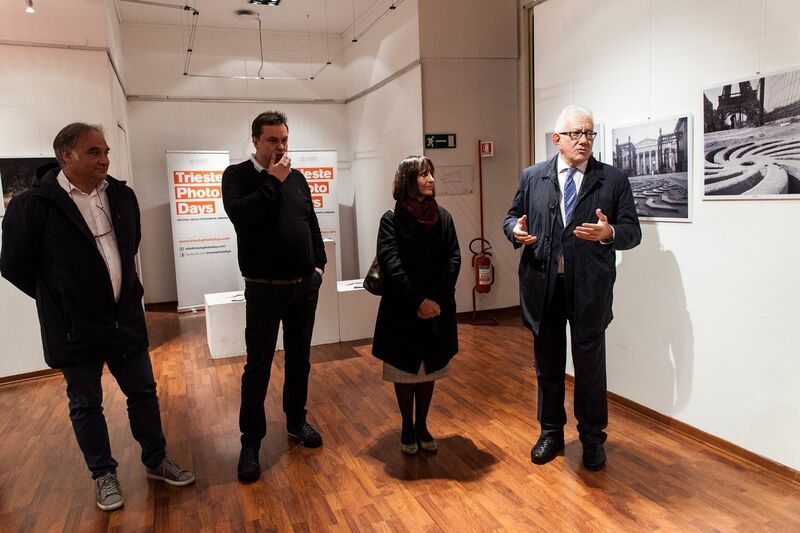 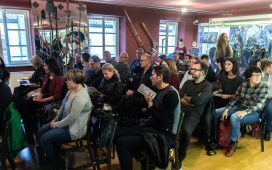 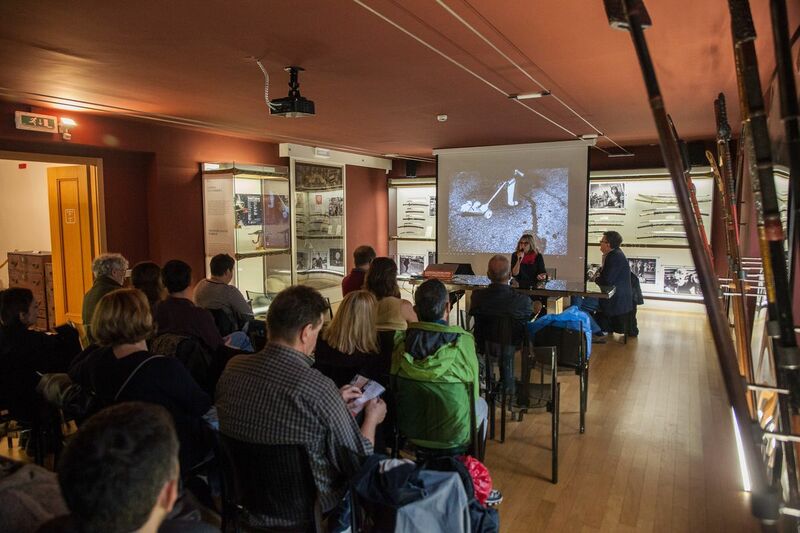 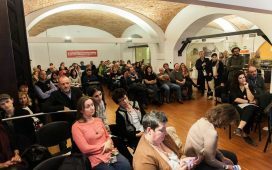 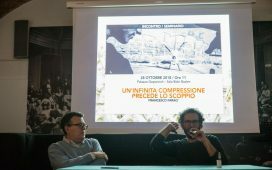 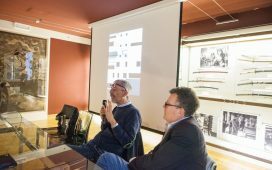 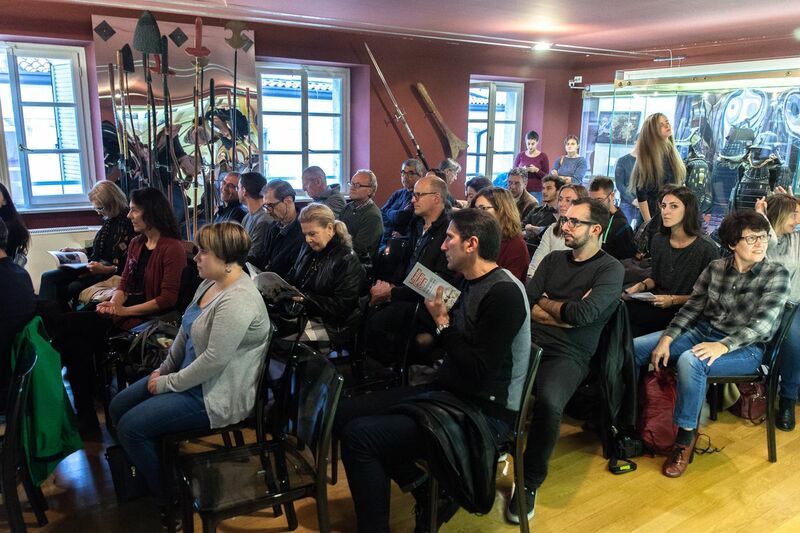 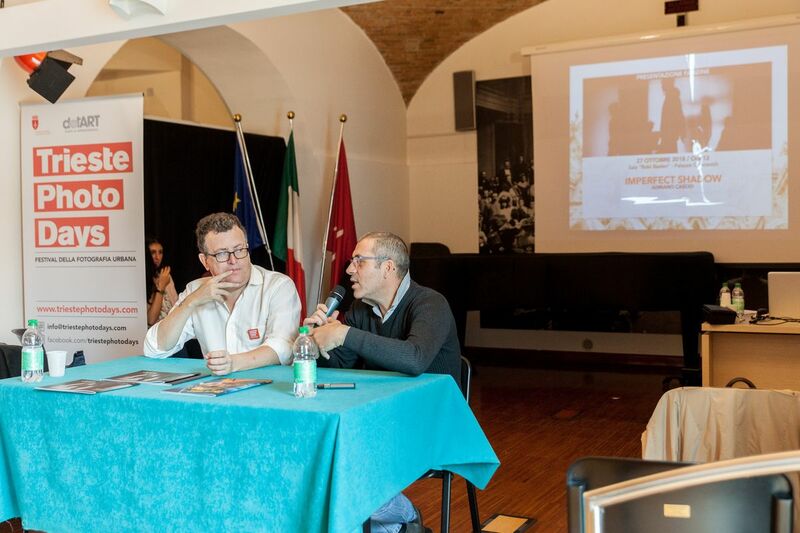 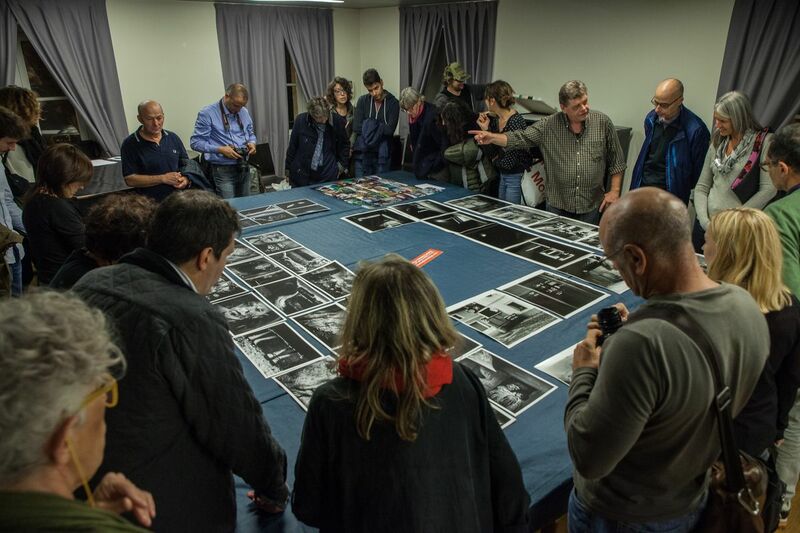 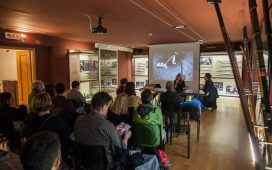 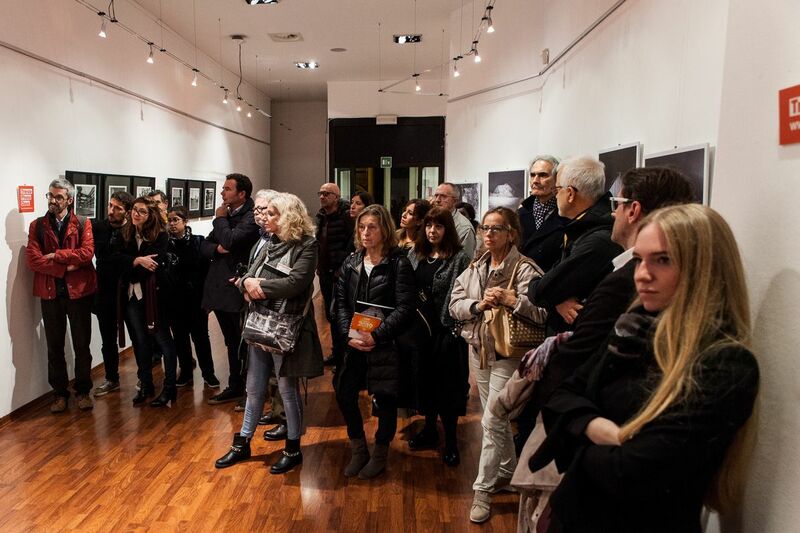 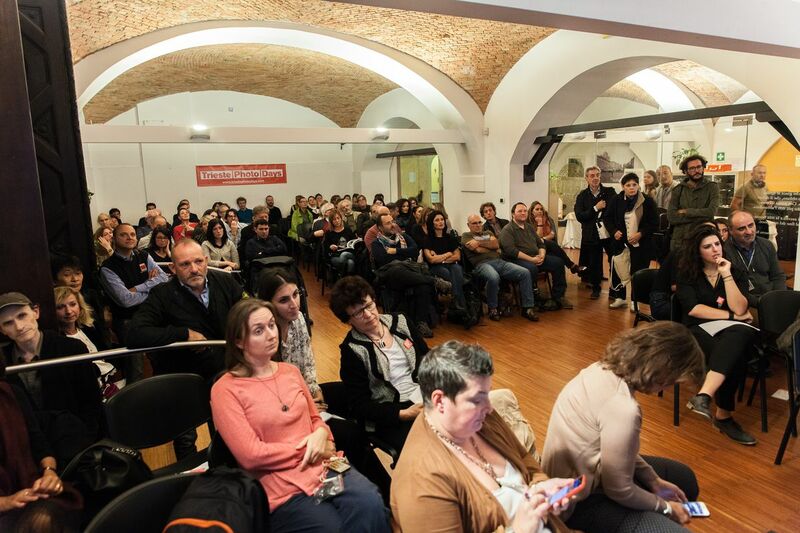 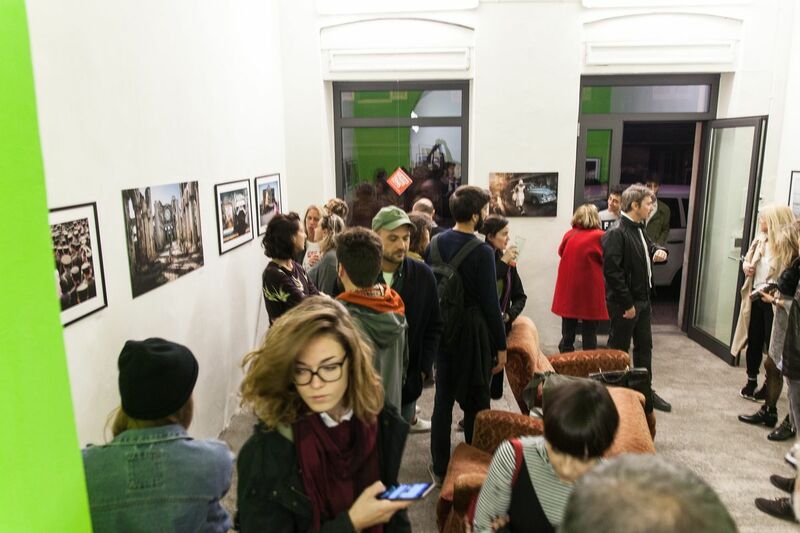 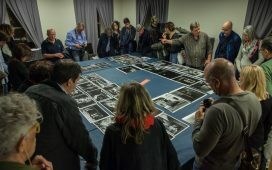 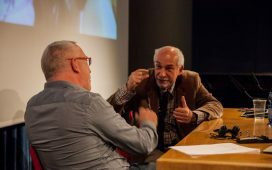 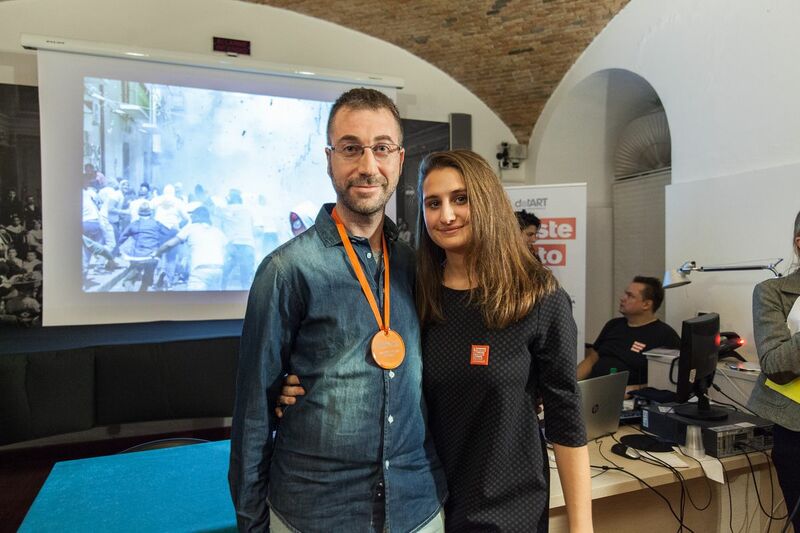 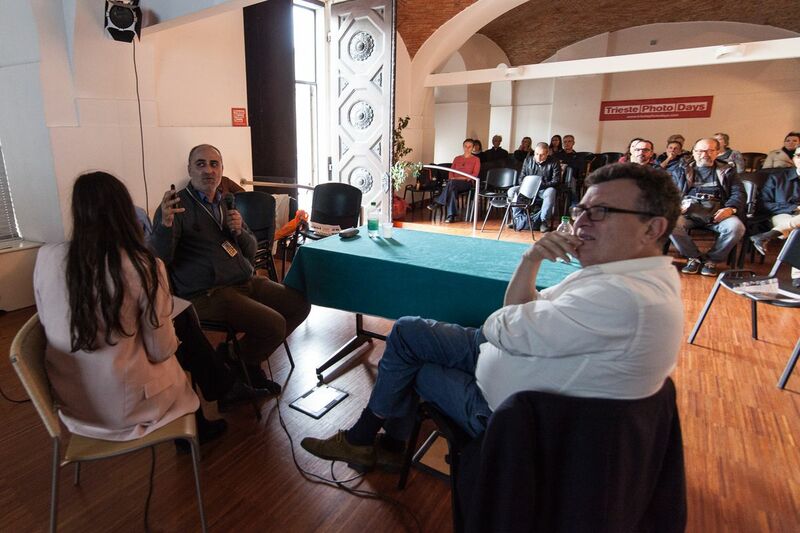 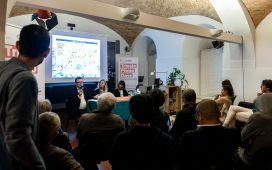 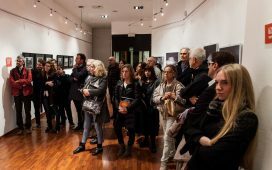 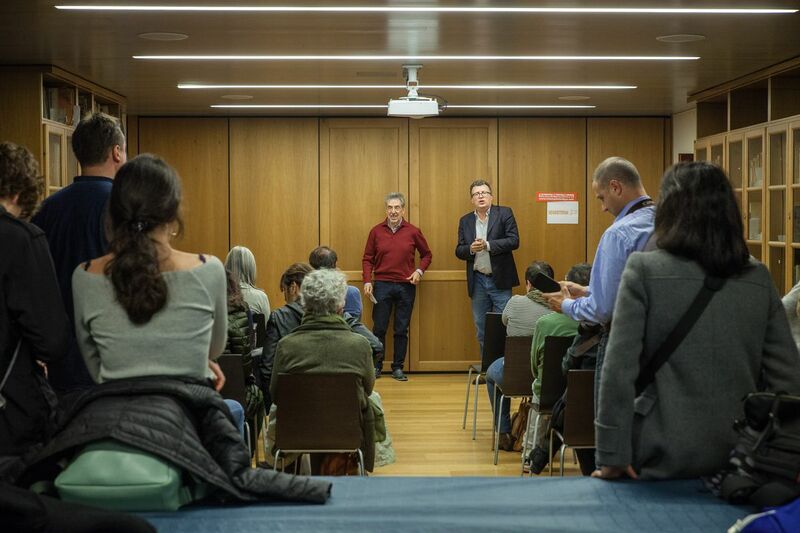 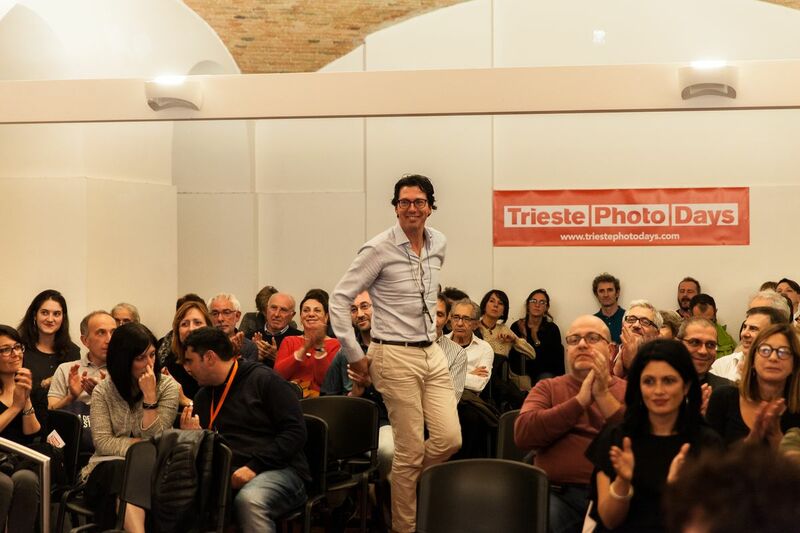 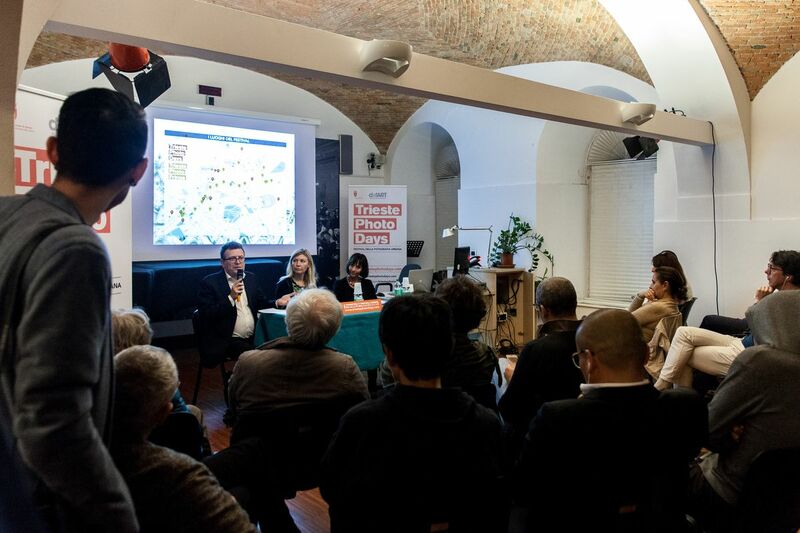 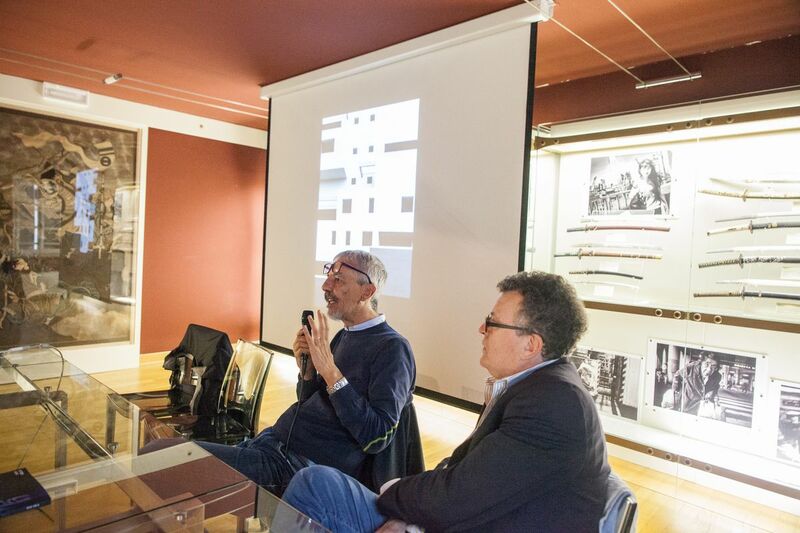 A success that goes beyond the numbers: enthusiastic audience, guests in love with Trieste, great photography and various sold-out events. 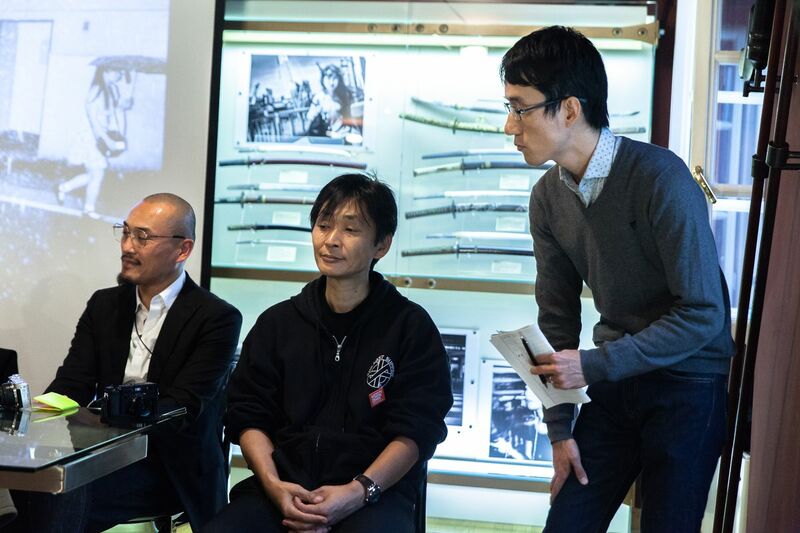 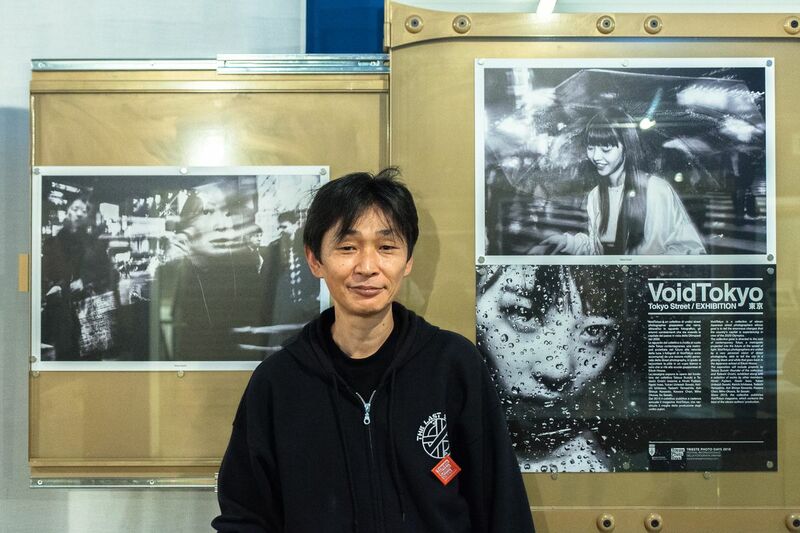 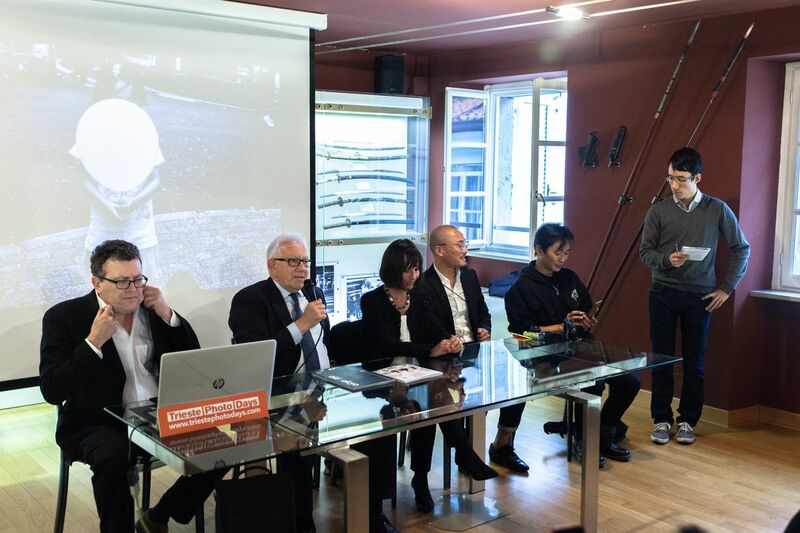 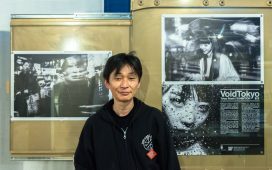 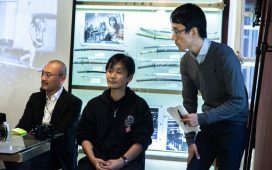 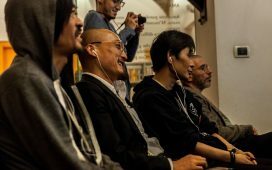 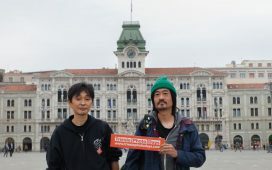 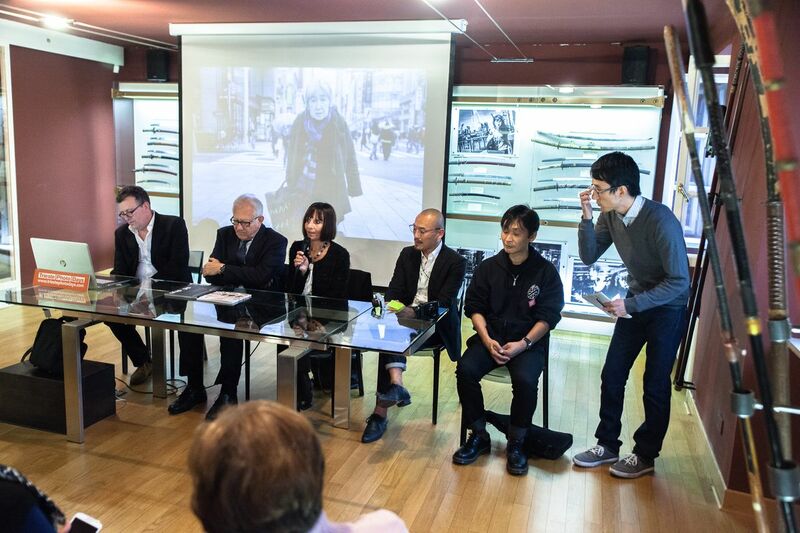 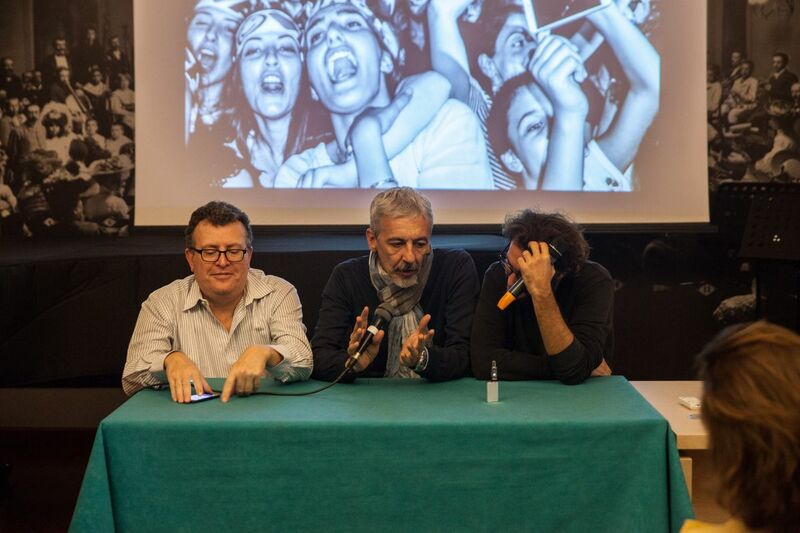 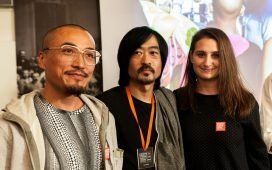 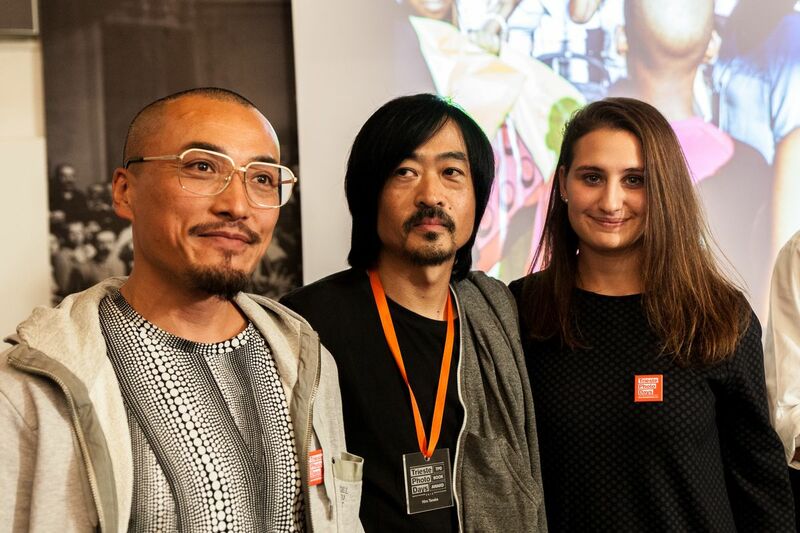 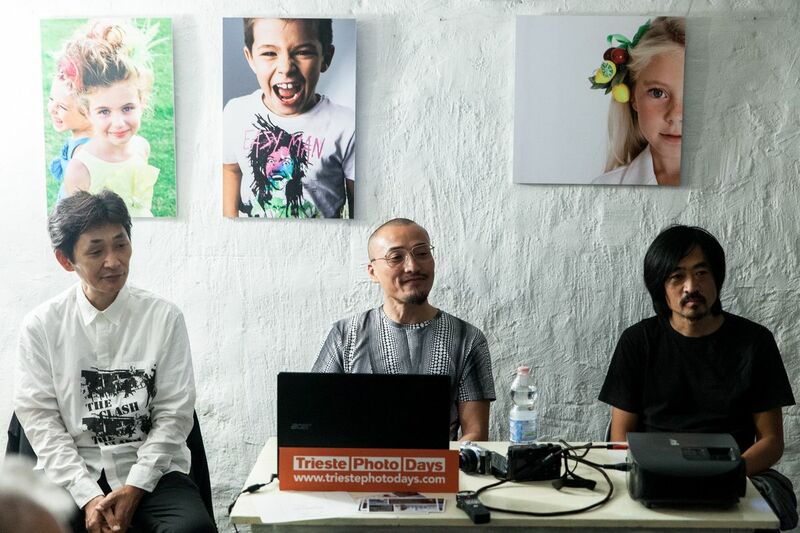 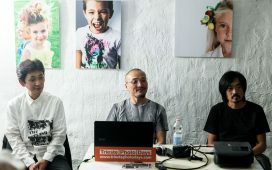 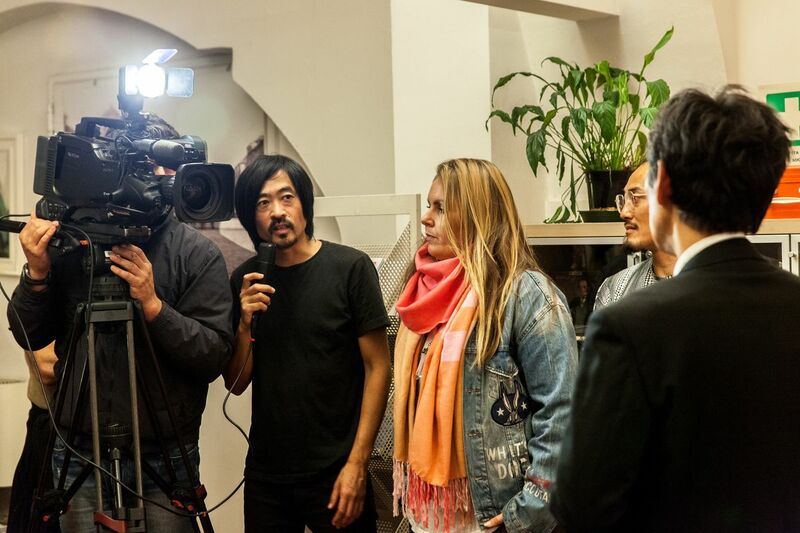 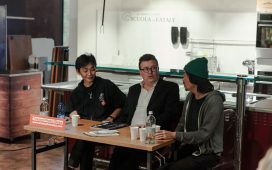 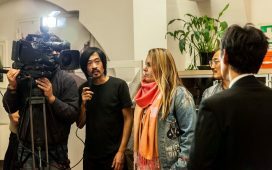 Main guests of the 2018 edition, two great Japanese photographers: Tatsuo Suzuki and Tadashi Onishi, members of the street photographer collective “VoidTokyo”, whose photos were the protagonists of one of the most important exhibitions of the festival at the Civic Museum of Oriental Art . 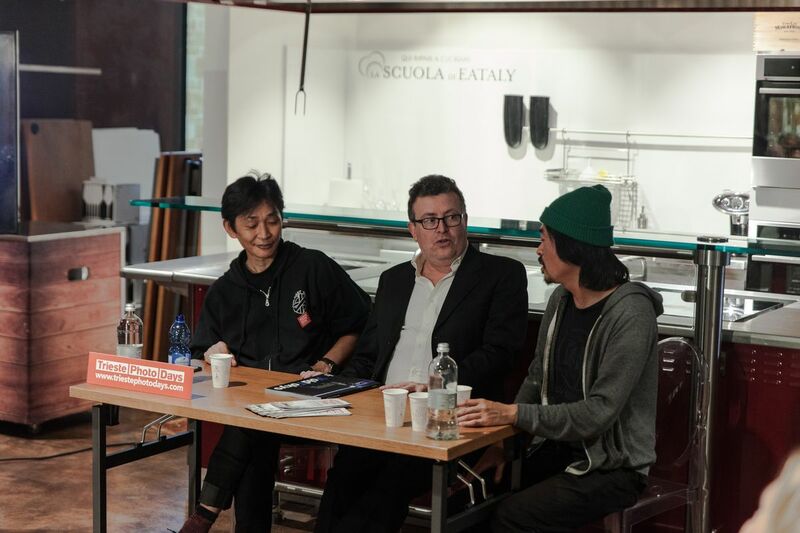 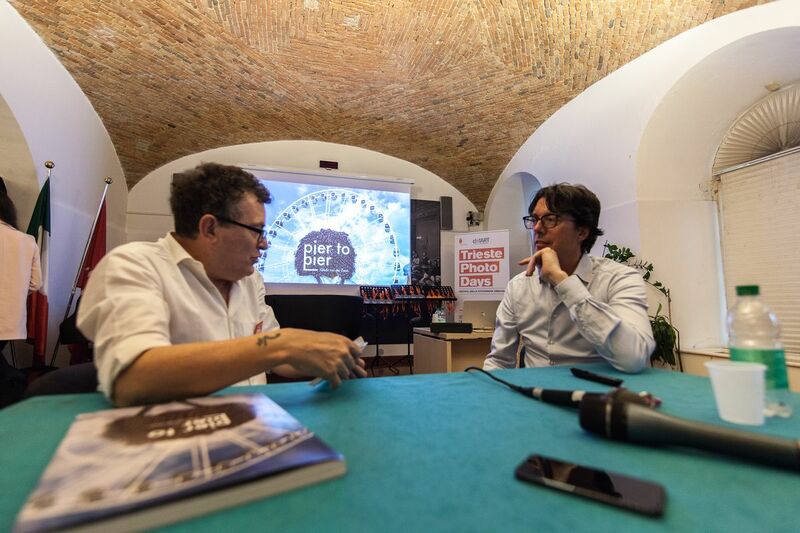 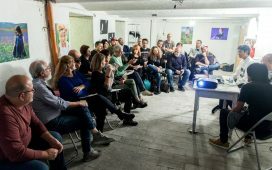 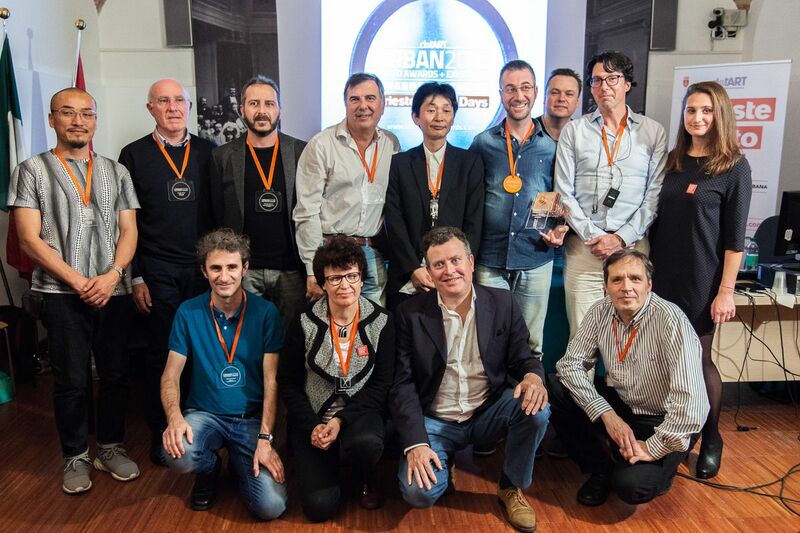 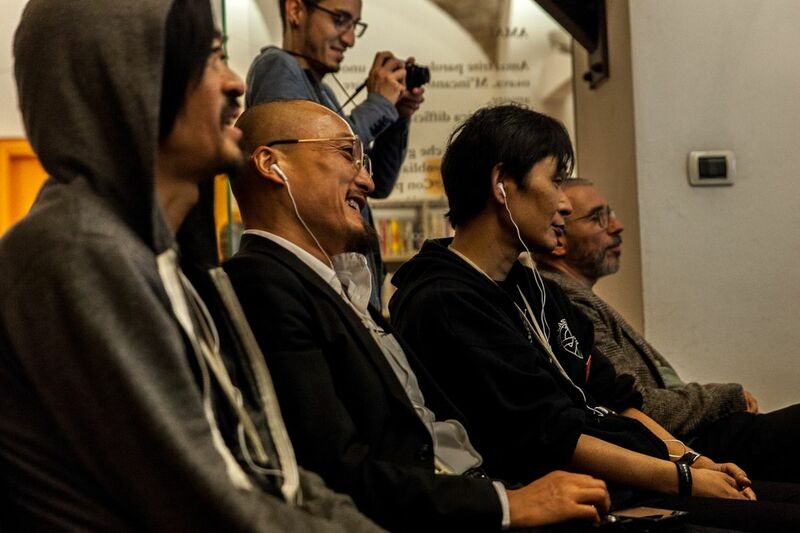 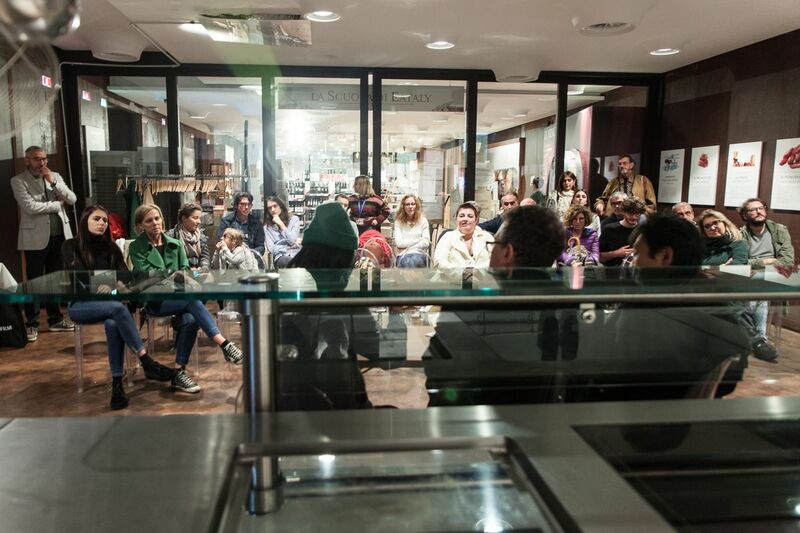 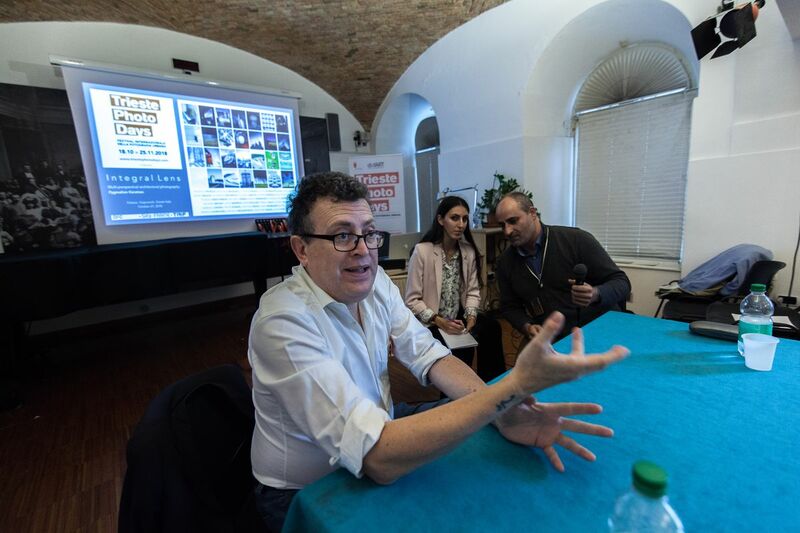 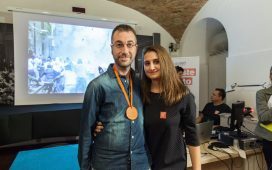 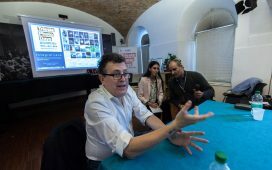 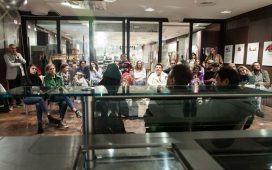 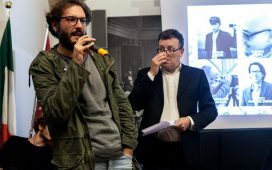 Other guests include: Francesco Faraci, Martin Vegas, Giedo van der Zwan, Zisis Kardianos, Hiro Tanaka, Pygmalion Karatzas, Ivana Galli, Anna Chiara Moggia, Diego Bardone, Fulvio Merlak, Francesco Comello, Lorenzo Zoppolato, Andrea Rossato, Adriano Cascio and Mariagrazia Beruffi. 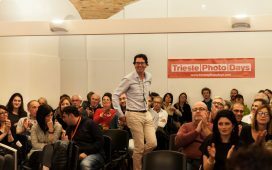 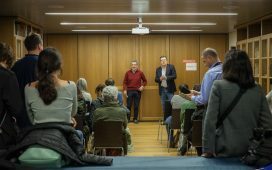 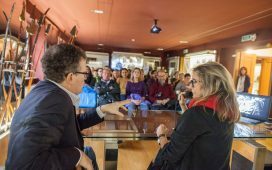 We leave you with a gallery of the best photos of the festival (here are the complete gallery) and see you very soon with a big announcement on the super-guest of the next edition of the festival.